Okay, so hi! I'm Katie... just so you know:) and uh i have no clue where to start! let me just first say that i have absolutely NO experience with writing something like this. (i actually don't like writing all that much) but anyways here goes nothing! 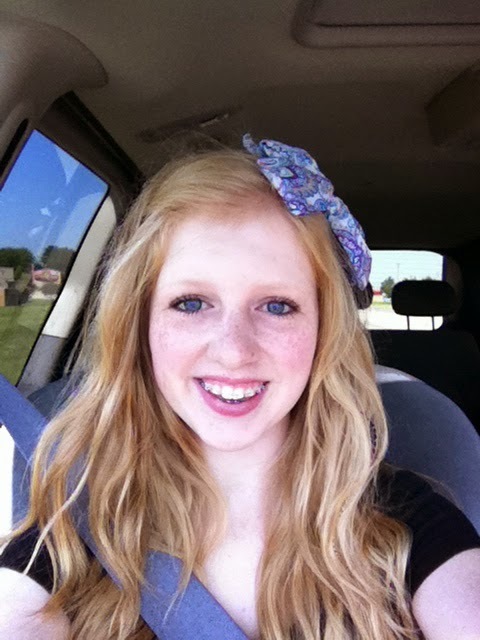 A little over a year ago (June 15 2011) I got my braces on! both top and bottom. after, we found and met with my surgeon discussing surgery options. right after i got braces! we were hoping for surgery this summer (2012), but that obviously hasn't worked out. haha. :( but seriously. ugh. after i was told that i needed jaw surgery i wanted it SOON. a year and a half later... nothing. boo. so hmm! i have met with my surgeon every so often since last year. I had a CT scan recently that showed that my condyle bone in my jaw is degenerating... so i am currently on medicine to stabilize that..
sooooo... if you survived reading all of that SUPER interesting stuff... congrats! ahh its sooo weird writing all of this down in one spot!! I'll put photos and now/future stuff in another post.. I automatically love anyone who decided to read this. Sounds like you have some pretty intense issues with your jaw. I feel so bad for you. I just had jaw surgery done for my overbite/gummy smile, solely based on cosmetic reasons. I've always been self-conscious of my smile. Anyways, check out my blog if you want more info on everything. aw, it's alright, I'm used to everything by now. and thank you!! I'll definitely read through your page. I hope all is going well with you and your post surgery journey. It seems like it takes a lot to stay positive through it all:) Good luck with everything and thanks again for reading! Day 112 - 16 weeks!! wow wow wow.